Feel free to roam through lothlaurien cards. 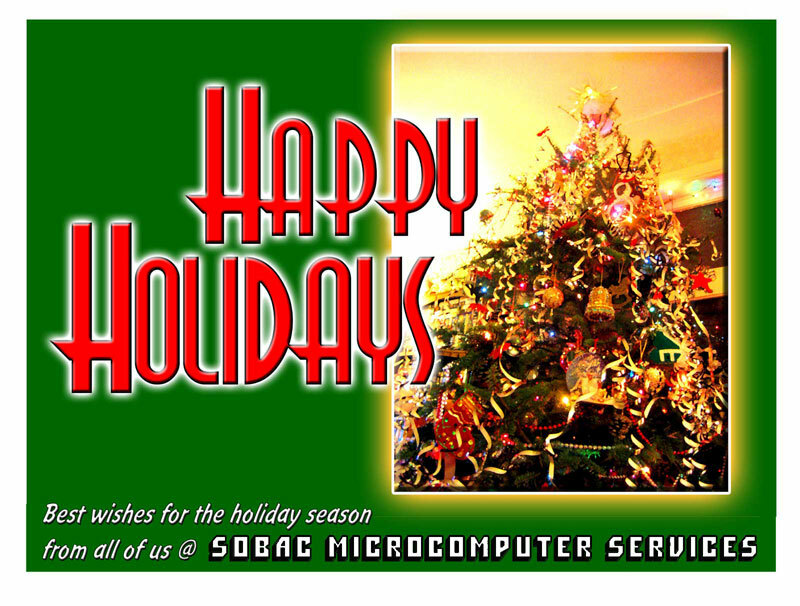 This year's corporate card was the essence of simplicity with the timeless image of our Christmas/New Year tree (circa 2006). Our family traditions include a live tree with a large proportion of hand crafted and gifted tree ornaments. On New Years Eve we generally celebrate with Bob's incomparable Dutch treat of home made Ollie bollen. 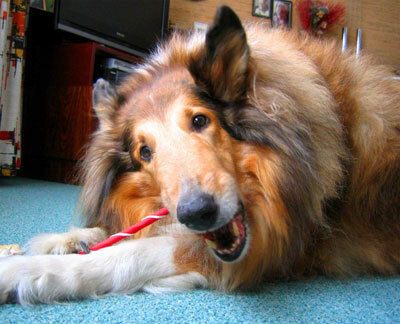 At the stroke of midnight we feature various noisemakers, not the least of which is our "singing" Collie, along with airborne Happy New Year streamers which settle onto the tree. If anything we enjoy our tree even more festooned with paper streamers as pictured on this year's corporate Christmas card. 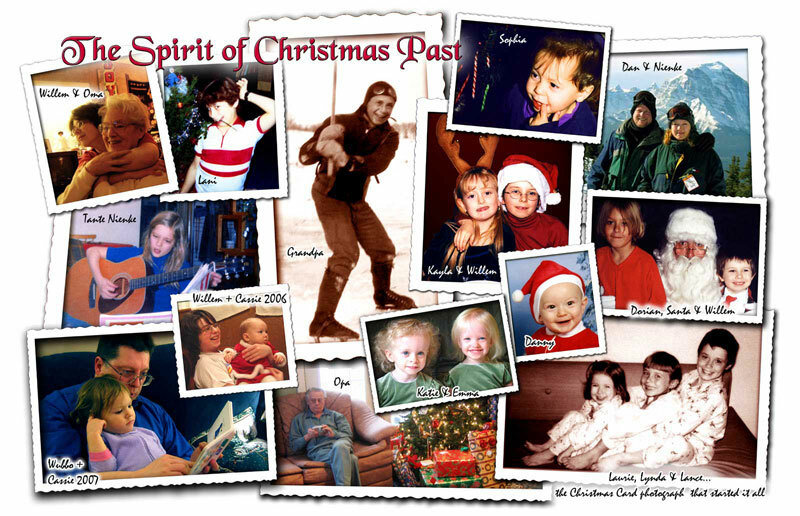 Our Family Christmas Spirit Card for 2008 was inspired by Mr. Charles Dickens and Mr. Will Eisner. Willem holds Cassie in 2006... Wubbo reads to Cassie in 2007... what a difference a year makes! is that baby Santa Claus? No! 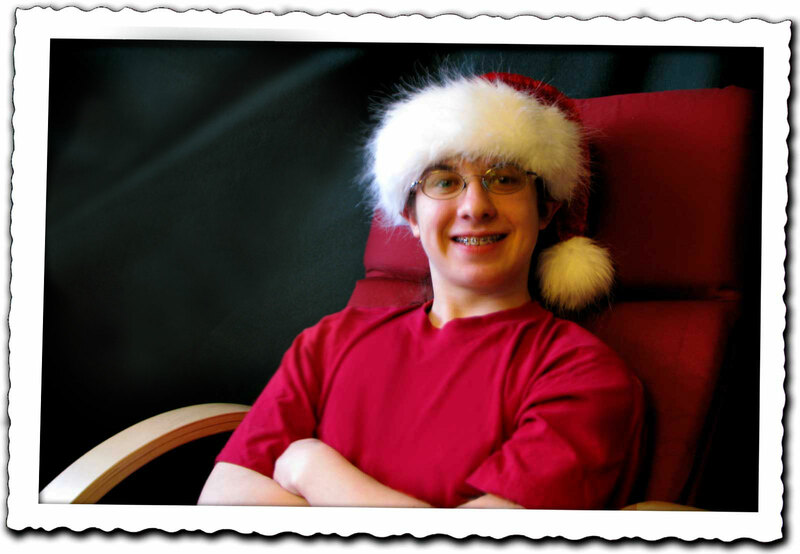 It's young Danny's first Christmas! in a galaxy far, far away... and which was in fact the genesis of our family card tradition. 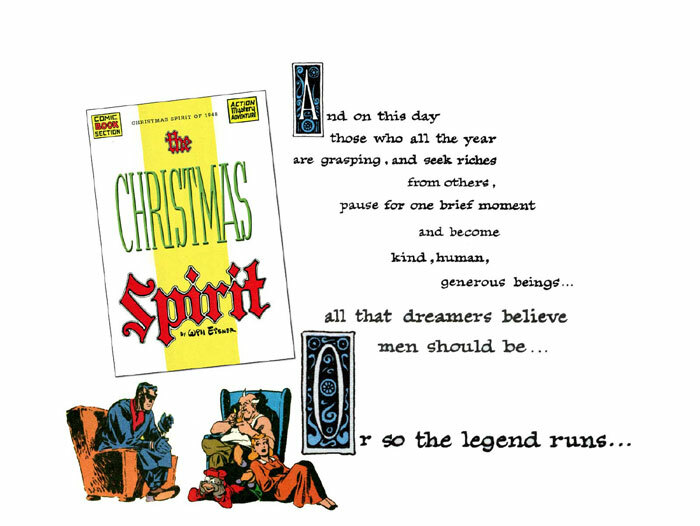 beginning with Will Eisner's 1948 CHRISTMAS SPIRIT splash page. So thanks to the Warren (and later Kitchen Sink reprints), we grew up reading and re-reading THE SPIRIT too. Grandpa still has remaining shreds of those SPIRIT magazines, they were heavily read and re-read into decreptitude by his children. Although originally published in colour, those who came to THE SPIRIT in the 70's are more accustomed to the black & white SPIRIT. Although Warren started out including one "centre fold" colour story per issue, they eventually dropped it as too expensive. Later when Kitchen Sink took up the mantle they were strictly black & white. It's come full circle now since DC Comics has published the complete SPIRIT ARCHIVES, again making THE SPIRIT available in full colour. These beautifully bound full colour hard back editions are naturally terribly pricey so it'll be a while before I have a complete set. Because THE SPIRIT was far more up-beat (not to mention funny!) than most of today's graphic novels it remained accessible to children, but THE SPIRIT was certainly written for grown ups. 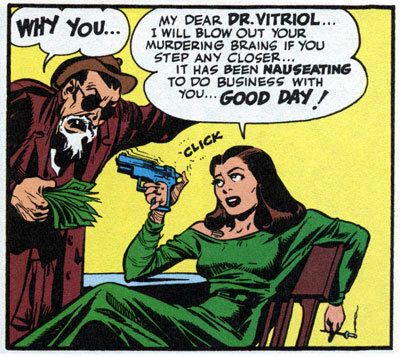 Irony and cynicism abound, not to mention hoardes of femme fatales (who tend to make a Barbie doll look flat chested). THE SPIRIT's love interest, the daughter of police Commissioner Dolan, Ellen Dolan was an amazing female role model for her era (and mine). First appearing as as a college student, later in the series Ellen ends up as the Mayor of Central City (with the side effect of becoming her father's boss). The fact that the SPIRIT appreciates strong women and isn't frightened of them is a very real part of the appeal for his female fans. 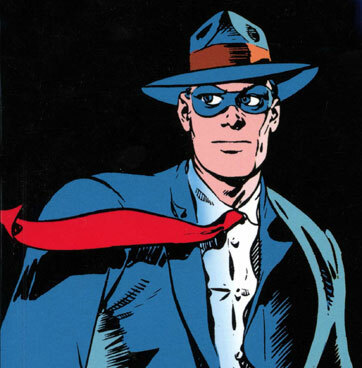 Lacking super powers, THE SPIRIT's edge against the bad guys was a domino mask, a keen intelligence, a circle of trustworthy friends, and the most awesome underground secret abode in Wildewood Cemetary -- under Denny Colt's headstone no less! Cynical, worldly wise, cracking wise, they don't come any cooler than THE SPIRIT. As far as I am concerned there has never been a series to match it before or since. You can find out more about the original Spirit and his legendary creator Will Eisner at the official Will Eisner Website. THE SPIRIT artwork is beautiful in its own right; rendered in black and white it is the graphic novel version of "Film Noir". Eisner's layouts are like beautifully rendered storyboards. 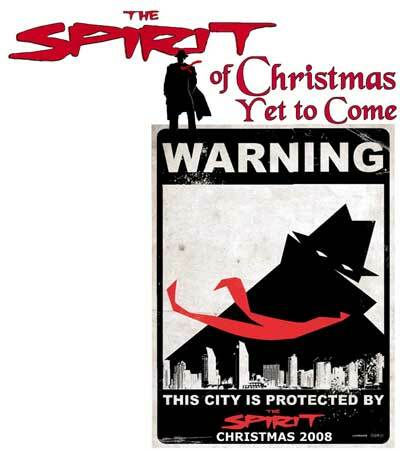 The original THE SPIRIT movie poster titled "My City Screams" made me very nervous because I worried that Mr. Miller's movie would be far too dark for THE SPIRIT. Lionsgate: THE SPIRIT movie website.. It looks like THE SPIRIT movie will be visually similar to SIN CITY, but I think the look of SIN CITY was actually inspired by the black & white SPIRIT reprints, which made a fan of the young Frank Miller. 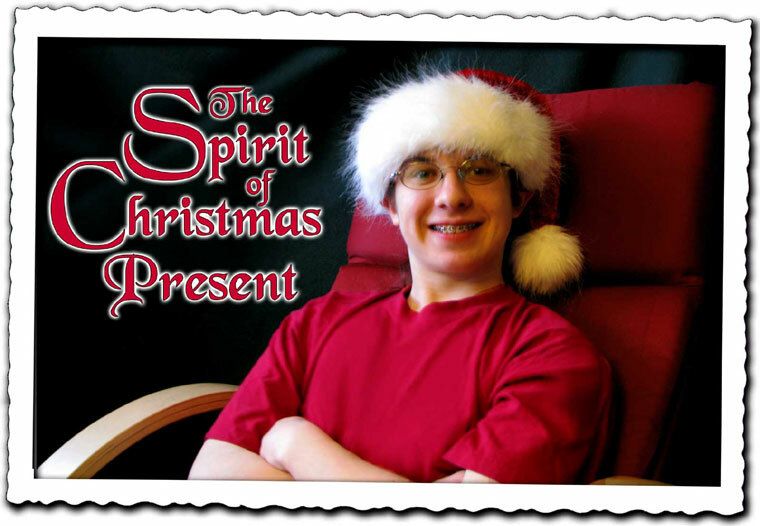 This gives me hope for THE SPIRIT movie. "Somebody get me a tie, and it sure as hell better be red..."
Every year we use the most interesting stamps available to mail our Christmas Cards. This year we have the work of Canada's premier portrait photographer, Mr. Yousuf Karsh. 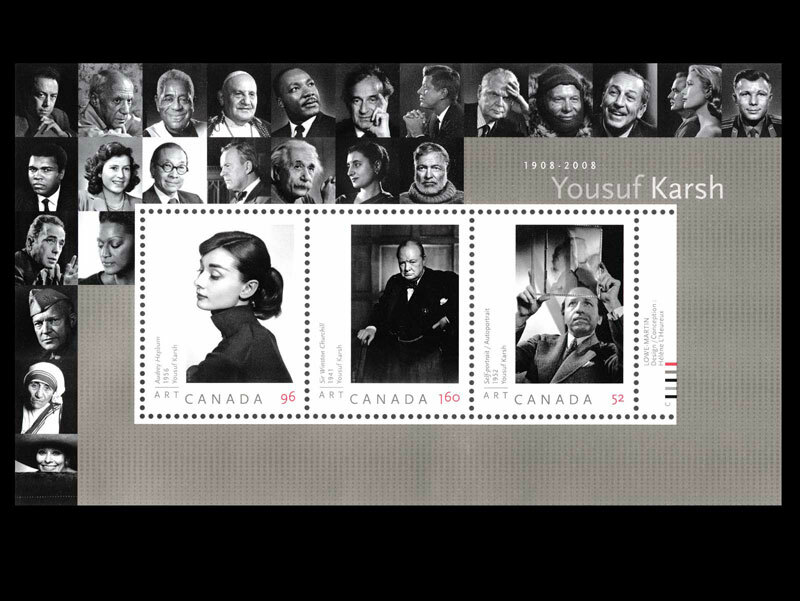 The famous Karsh Churchill portrait will grace our European envelopes in stamp form, while Miss Audrey Hepburn greets our American friends and family, and our Canadian cards will carry one of the indomitable Mr. Karsh's self portraits. The 20th century's movers and shakers the world over clamored to be "Karshed". Stamps like this are a nice way to promote Canadian achievement. I hope to assemble a "Karsh" corner here (after the Christmas rush!) since months of searching have left me with two Karsh unidentified Karsh portraits in the "gutter" portion of the stamp sheet. I'll be looking for any help with it.